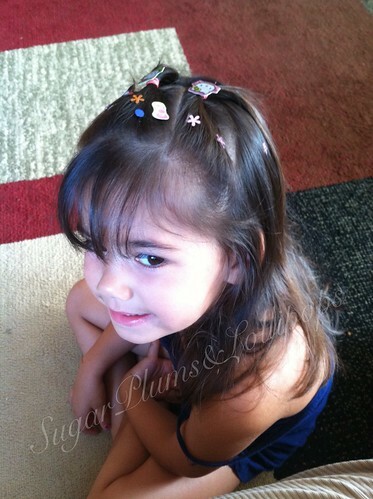 My Niece Let Me Dazzle Her Hair!!! 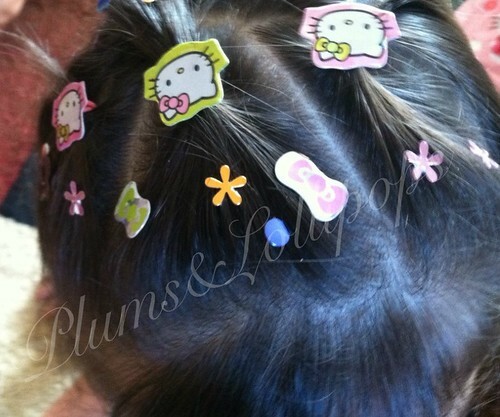 My niece is game for anything having to do with her hair, make-up and nails. She’s a little diva which is why I love when she comes over. 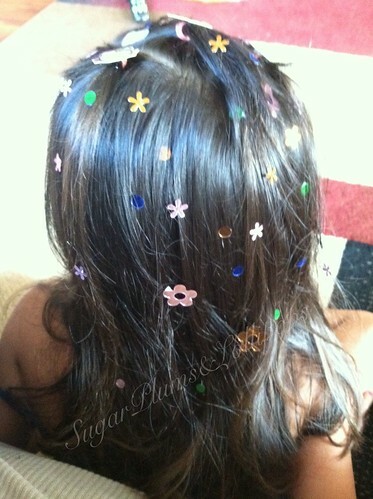 My daughter likes to play dress up too but she has limits, my niece has no limits, she’ll let me do just about anything no matter how dramatic it is 🙂 Today we took some of these Hello Kitty themed party confetti and used some eyelash glue to stick them to her hair. I did the top and that wasn’t good enough for her, she wanted it all over! I feel bad for my cousin (her mother) who has to take them all out and shampoo her hair!